Shungite - Precambrian rock, which is a transitional stage from anthracite to graphite. It occurs in black, dark gray and brown. Named after the village of Shunga in Karelia. Electrically conductive. Shungite formed about 600 million years ago, and according to some sources, two billion years ago. These organic sediments, covered up the top layers of all the new, gradually compacted, dehydrated, and plunged into the depths of the earth. Under the influence of compression and high temperatures were in the process of metamorphism. The only deposit of this rock is situated in Karelia. The main reserves are located in schungites Zaonezhskoe Peninsula and around the northern tip of Lake Onega. So far, two deposits were explored: "Maksovskoe mine" (known reserves) and "Zazhoginsky deposit" with reserves of 35 million tons. It consists of an unusual breed of fullerenes - a special form of carbon. The structure of fullerene molecules is an empty carbon ions. Another surprising fact that deserves attention - shungite includes virtually the entire periodic table. Despite such a rich composition of the stone itself produces only water that is really useful to a living organism. Density - 2,25-2,84 g/cm3, porosity - 0.5-5% compressive strength of 100-276 MPa, modulus of elasticity (E) - 0.31 * 105 MPa, electrical conductivity of - (1-3) sim x 103 / m, thermal conductivity - 3.8 W / m • k The average value of k.t.r. in the temperature interval 20-600 0C - 12h10? 1/Grade 6. It should also be noted that schungite substance is not just an amorphous carbon, and is a mixture of different carbon allotropes, whose small grid connected amorphous carbon. The breed has a sorption and catalytic properties. 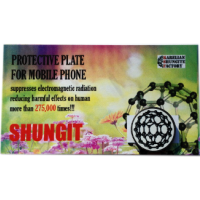 By the ability to purify water from oil shungite not inferior to activated carbon. When filtering water through shungite significantly reduced water color, almost completely removed microflora. Bactericidal properties of this material is unique. Infusions Water shungite and paste schungite have curative effect in preventing a significant number of diseases. Shungite is characterized by high strength, density, chemical resistance and electrical conductivity. 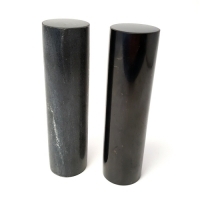 The most important property of shungite is that this stone can not only qualitatively to purify water from impurities of various kinds, such as alcohols, all kinds of foreign compounds, including wood-based, tar and gases, but also to carry out this work at a high level for quite a long time. Recently, the world's demand for shungite, it is used in everyday life, both in industry and construction, as shungite is a unique material for all industries.